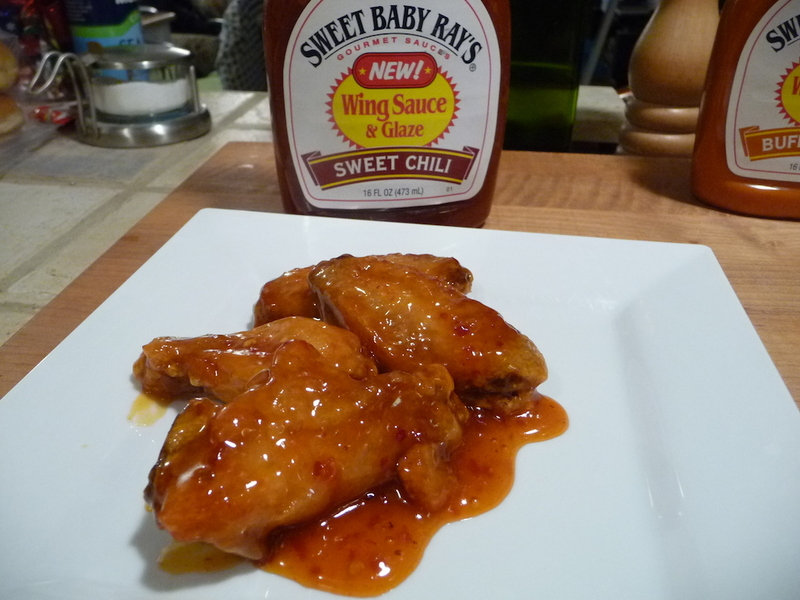 Week of Wings Day 5 has us back in the grocery isle to check out two cayenne based wing sauces from two classic sauce makers: Crystal and Louisiana Brand. Week of Wings 5 – Day 5. 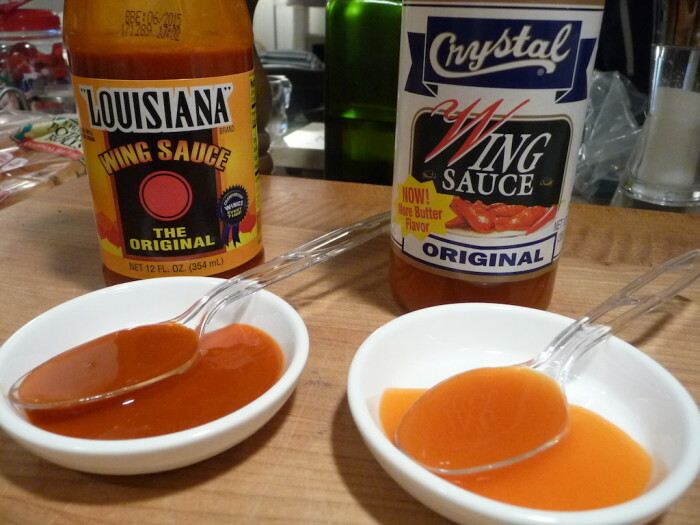 We’re going old school today with two Louisiana hot sauce originals. 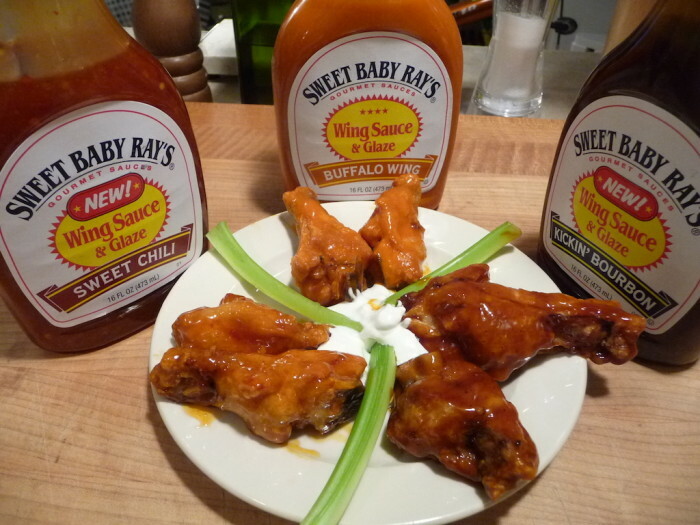 Both companies launched in the 1920’s and each claim to be “number one” – Louisiana Brand with “Still the Original – the One with the Red Dot” and Crystal proclaiming “#1 Hot Sauce in Louisiana”. Both have fascinating histories surrounding their hot sauces, but we’re looking at their versions of “original” wing sauces. If this were a “smackdown”, we’ve picked a clear winner. Read on to see which one came out on top. Makes a zesty marinade for poultry, seafood, wild game – and fruits and vegetables, too. Those who want their wings extra tasty choose Crystal Wing sauce. Ingredients: aged red peppers, distilled vinegar, corn syrup, food starch modified, dehydrated garlic and onion, salt, xanthan gum, artificial butter flavoring. Texture and Appearance: Thin texture and bright orange in color. Tiny flecks of either the peppers or garlic and onion. Marilyn thinks it has the color of Nehi Orange Soda. Taste straight up: Smooth, buttery, light vinegar taste, but artificial. 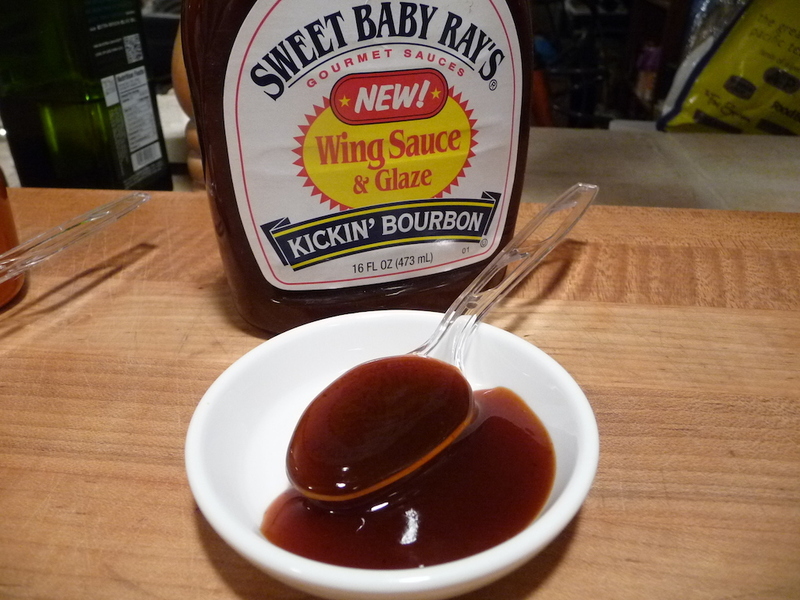 Taste on wings: Very little vinegar now, butter taste almost disappears, not much other flavor to speak of. Below average. Heat Level: ½ Star – Just not there. Plain Jane heat (apologies to our readers named “Jane”). Overall rating: ½ Star – We not saying this is a bad sauce, but it is so mild and plain, that it just may be the right one for beginners, kids, mothers-in-laws and the like. Hey, you may love this one! If so, tell us in the Comments below. 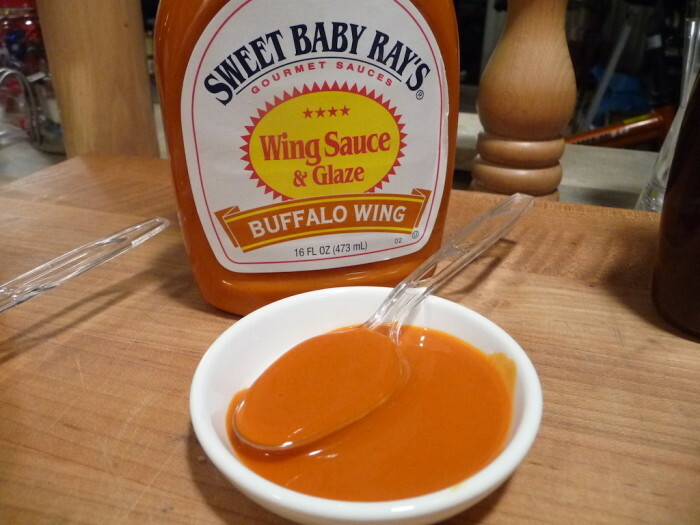 For now, we’ll pass on this one as a go-to wing sauce. Sorry, Crystal… we had high hopes. 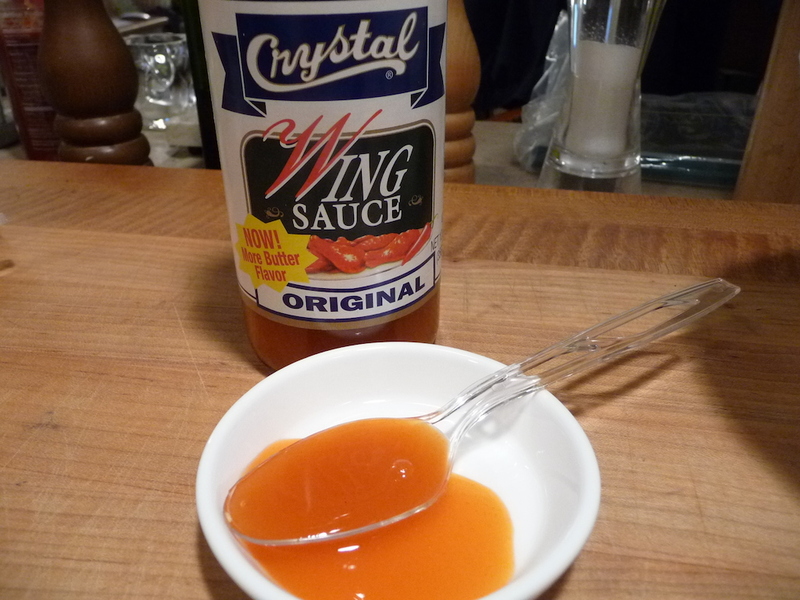 Crystal also makes an “Extra Hot” version of their wing sauce. They also make quite a few other sauces that we would love to try, including Worcestershire, Steak, Teriyaki and Soy. Visit http://www.baumerfoods.com/ for all of them. Bonus: Check out the history of Baumer Foods, aka Crystal Preserves. See the Art Deco sign. Read about their history… it’s fascinating. 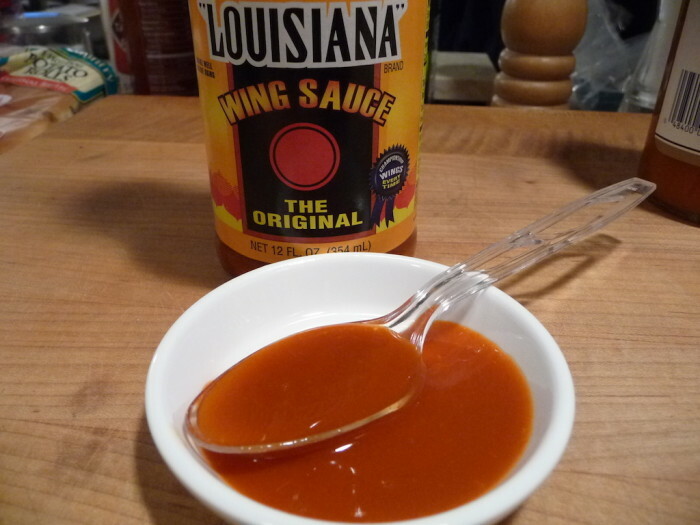 The heat that created the hot wing phenomenon originated in Louisiana, and Louisiana Wing Sauce takes it to the next level. Ingredients: red peppers, vinegar, salt, soybean oil, sugar, xanthan gum, polysorbate 80, citric acid, datem, natural garlic flavor. 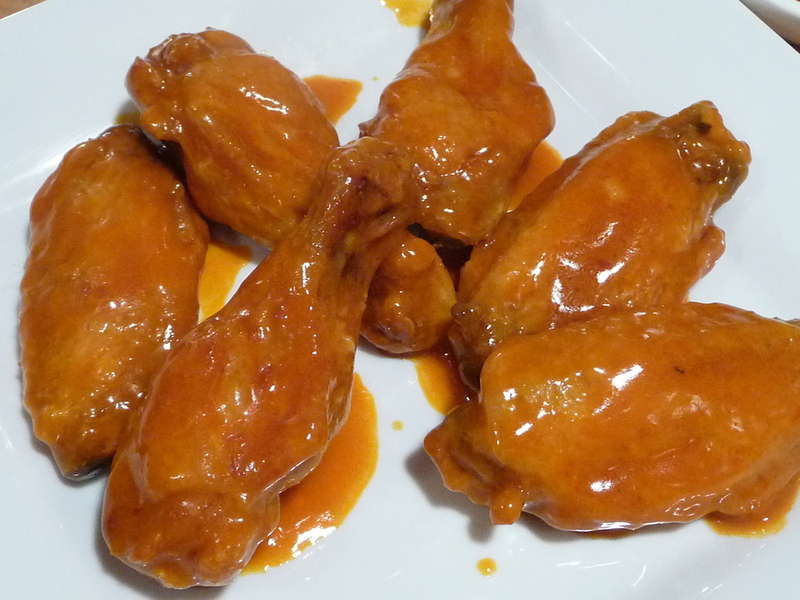 Texture and Appearance: This very dark orange colored sauce clings nicely to the wings. Medium thick. 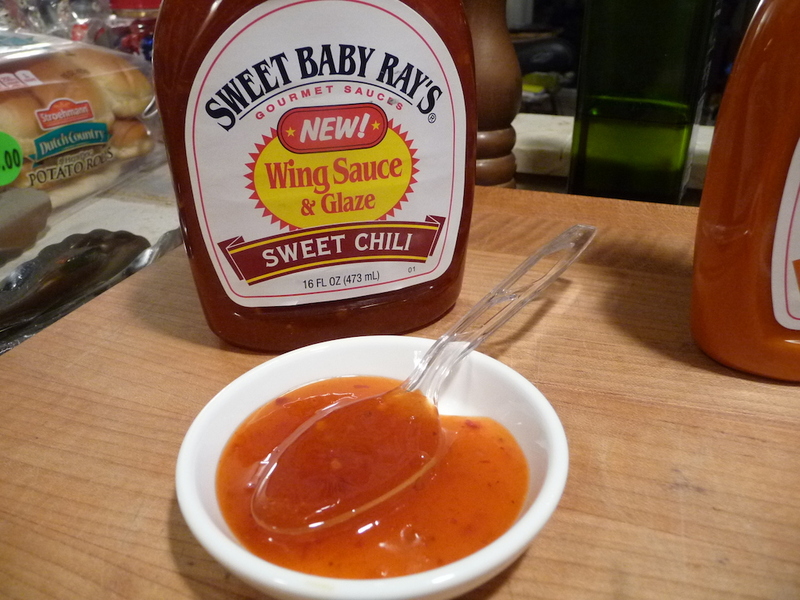 Taste straight up: Vinegar and cayenne first, a bit salty, but very smooth. 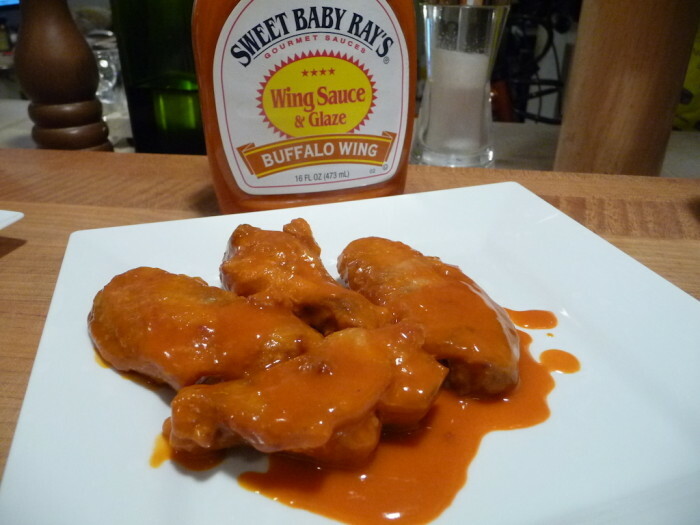 Taste on wings: Great classic buffalo wing taste, a classic. 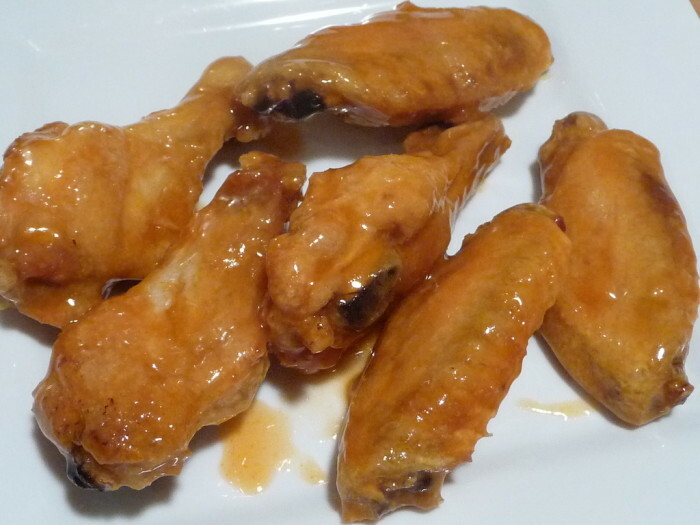 Better than most bar wings. Adding butter is key, flavor is big and satisfying. Heat Level: – Fairly hot, but not a “bring you to your knees” heat… it’s an enjoyable heat. Kudos to Louisiana Brand for nailing a great heat level. 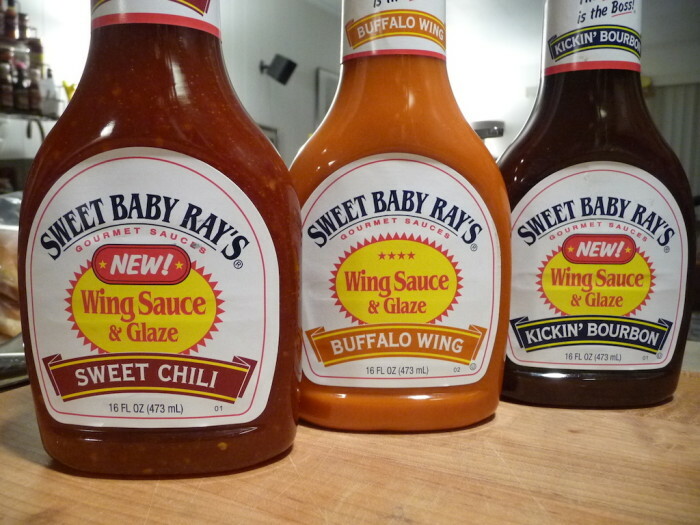 Overall rating: – Our favorite “buffalo style” grocery bottled sauce of the week. Classic flavor, great heat. Recommended. 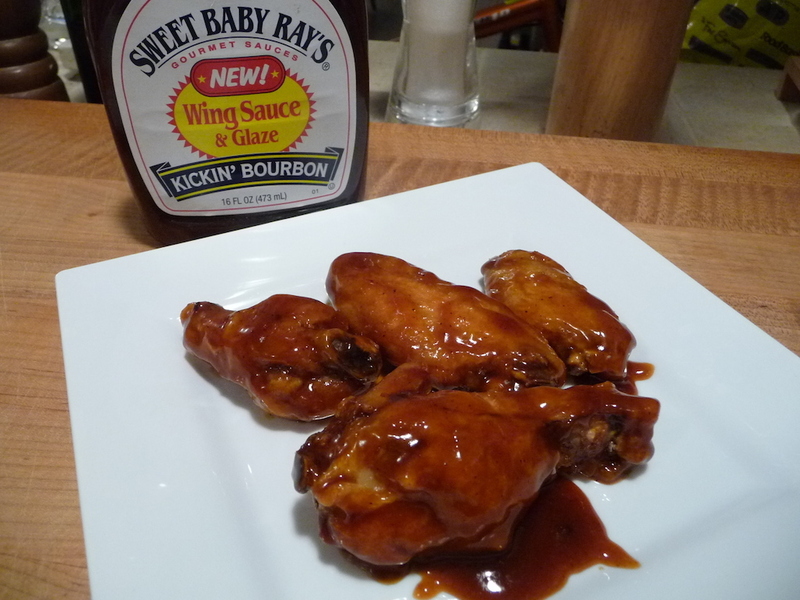 Louisiana Brand from Bruce Foods have quite a stable of other wings sauces that you may be interested in, including Honey Mustard Wing, Jalapeño Lime Wing, Wing Sauce Seasoning, and many other goodies. Fun fact: We quite often review a store bought product, only to learn afterwards that they offer many other products that we don’t usually find on our shelves at the grocer, so we try to share them with you here. As a result, we plan to order just about every other product from Baumer Foods / Crystal, as well as the rest of the lineup from Bruce Foods / Louisiana Brand. And we hope you will too.